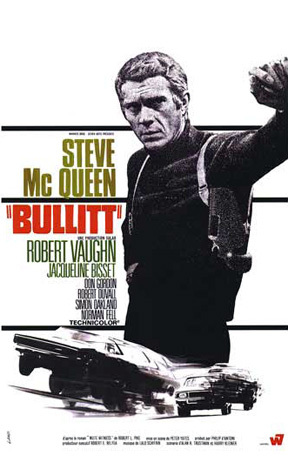 By the time I was done watching “Bullitt,” I wanted to put a bullet into my foot. I put this on my 2014 bucket list because of the classic nature of this movie. But like most old movies I’ve seen, I hated it. The movie had all of the elements to be a good movie — action, organized crime, and political themes — but its dialogue did not keep me engaged. There was either too much dialogue or not enough. The movie got boring really fast. I did like two things about the movie. The car chase through the streets of San Francisco was really great, especially considering the movie was made in 1968. Check out the chase yourself. The second element of the movie I liked was Jacqueline Bisset. Holy smokes, was she good looking back in the day! She played Bullitt’s girlfriend (but don’t think there’s any way she’d settle for Steve McQueen). She was a bright spot in what seemed to be a movie that just dragged on. I feel like I wasted two hours of my day. Sorry, old movies. I cannot get into you.